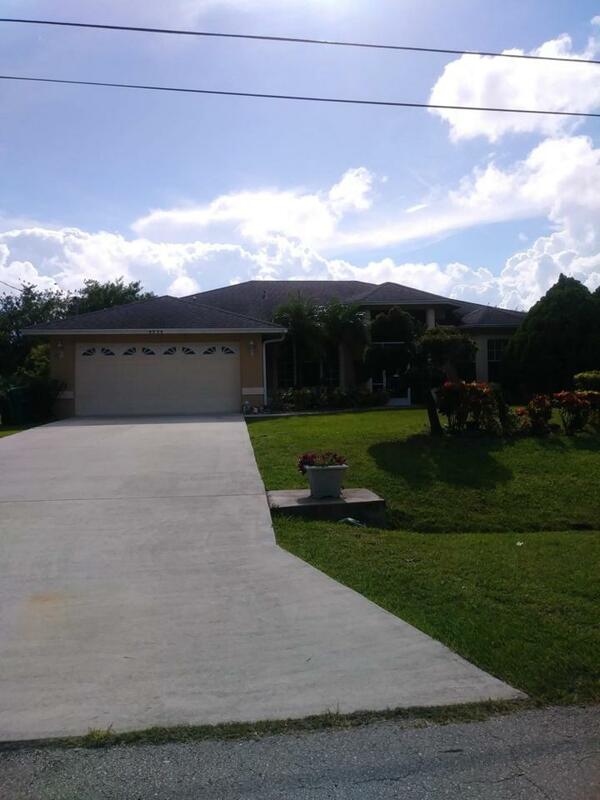 VERY NICE AND SPACIOUS CBS HOME IN THE BEAUTIFUL ST. JAMES AREA. HOME FEATURES DOUBLE DOOR ENTRY THAT'S SCREENED IN; HAS 3 BEDROOMS AND A DEN, WITH 2 CABANA BATHS - BOTH WITH CULTURED MARBLE SINKS. 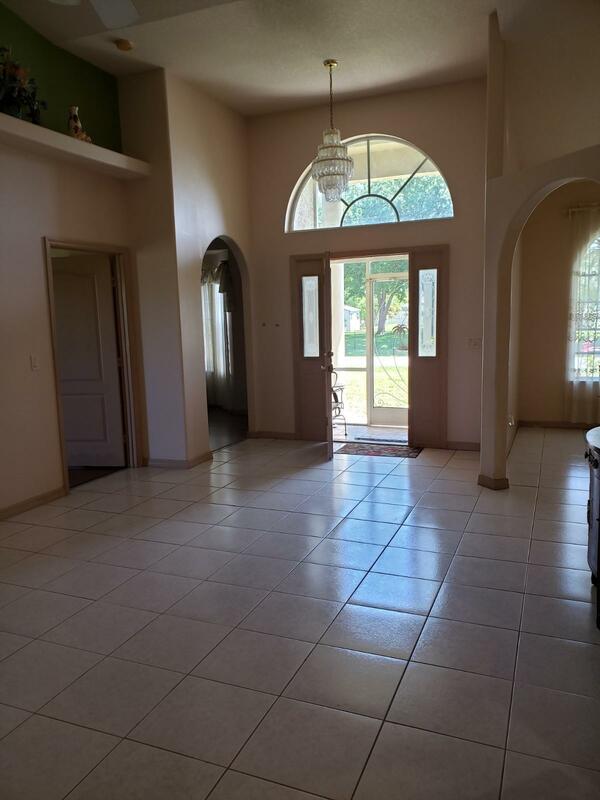 KITCHEN HAS GRANITE COUNTERTOPS, AND ALL APPLIANCES, INCLUDING WASHER AND DRYER; MASTERSUITE HAS WOOD FLOORING WITH JACUZZI IN BATHROOM; LAMINATE/CERAMIC TILING THRU OUT; HOME COMES WITH FAN/LIGHT FIXTURES AND SOME WINDOW TREATMENTS; UTILITY SINK IN THE LAUNDRY RM. 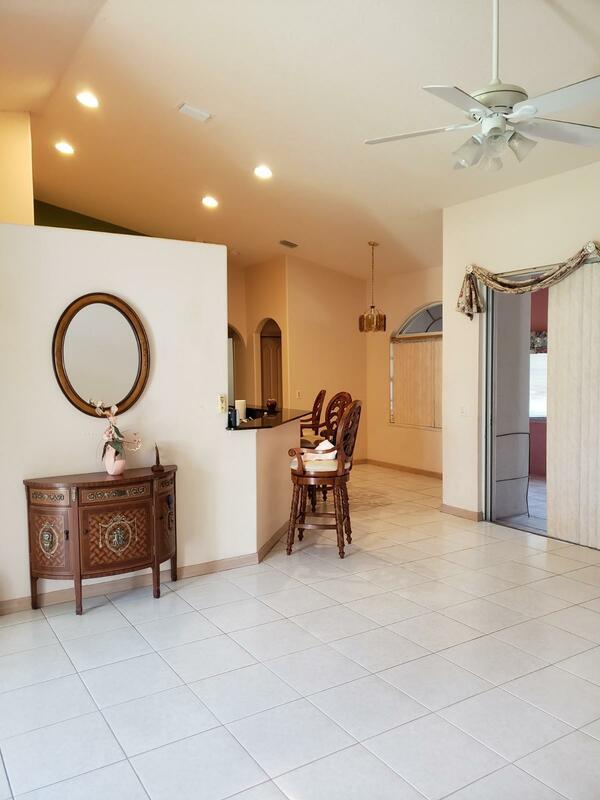 AND EXTRA FRIDGE IN THE GARAGE; HOME HAS A FLORIDA ROOM AND EXTENDED REAR COVERED PATIO W/HERB GARDEN; MATURED FRUIT TREES AND DRY CANAL IN THE REAR. AC UNIT IS JUST OVER A YR. OLD. PROPERTY BEING SOLD AS-IS, ROOM SIZES ARE APPROX. PRICED TO SELL QUICK. Listing provided courtesy of Lucys Realty Services.